Paris has the Louvre, New York the Metropolitan Museum. 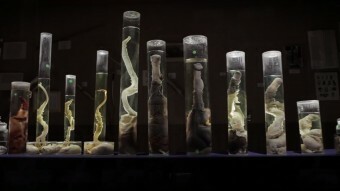 But Husavik boasts the world’s only museum devoted exclusively to painstakingly preserved male genitalia. 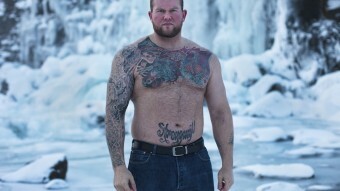 Despite its tiny population, Iceland has a reputation in the World’s Strongest Man competition that stands higher than perhaps any other country’s. Idiosyncratic, intelligent and involving, Iceland: Beyond Sigur Rós (2011), a not-for-profit film production, is a memorable celebration of Iceland’s dynamic and diverse contemporary independent music scene.